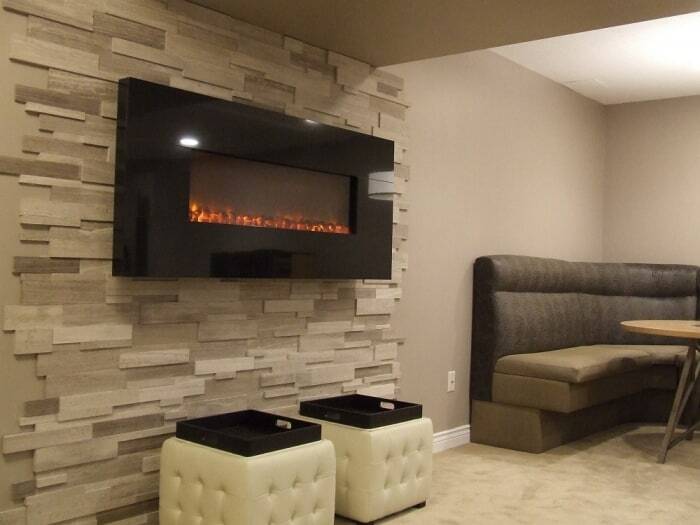 At Stylish Fireplaces, we’ve been designing homes and offices around fireplaces for over 20 years. 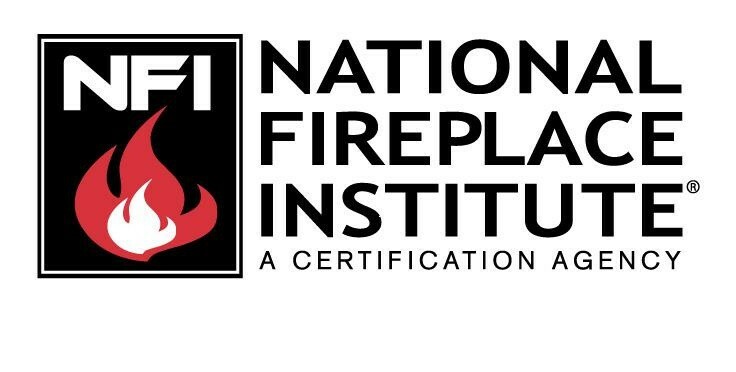 Owners Jeanne and Colin Grier are NFI Certified Hearth Design Specialists. 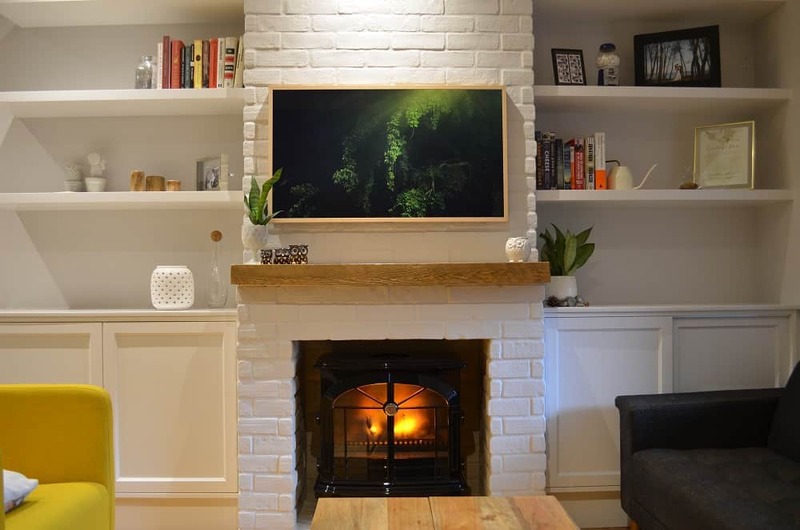 This means that they have passed a rigorous exam and proven their knowledge of all types of hearth systems, including wood-burning and gas fireplaces. 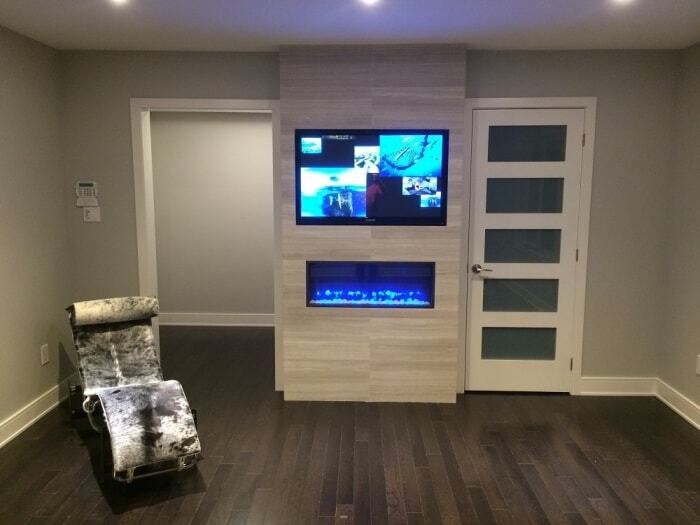 Most projects start with a visit to our Toronto-area showroom. 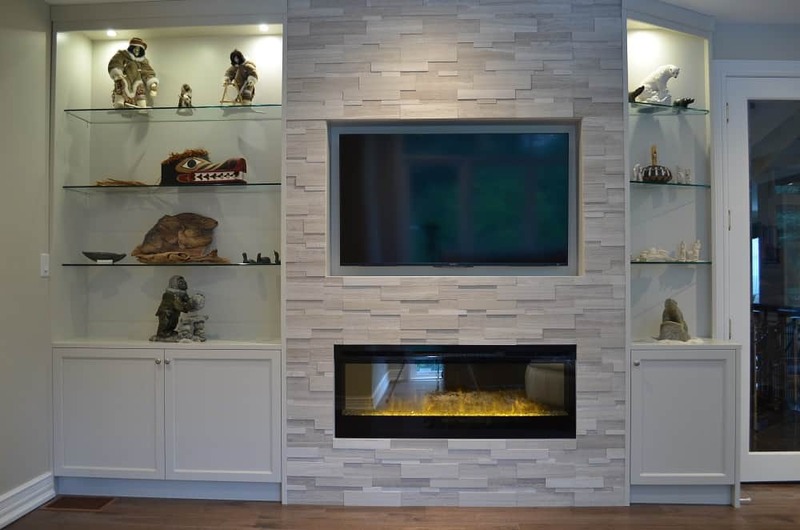 Our selection of finishing materials and hearth accessories is second to none, and we have designed our showroom to demonstrate how to incorporate them into your fireplace feature. 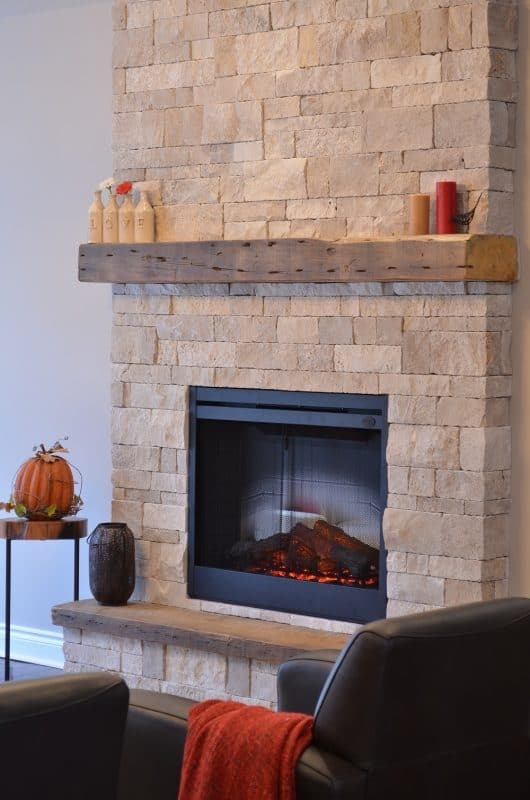 In addition to natural stone veneers, we carry brick veneers, concrete tiles, leather panels, wood wall planks, reclaimed wood beams, metal wall panels and mantels, fireplace doors & screens, and fireplace tools. 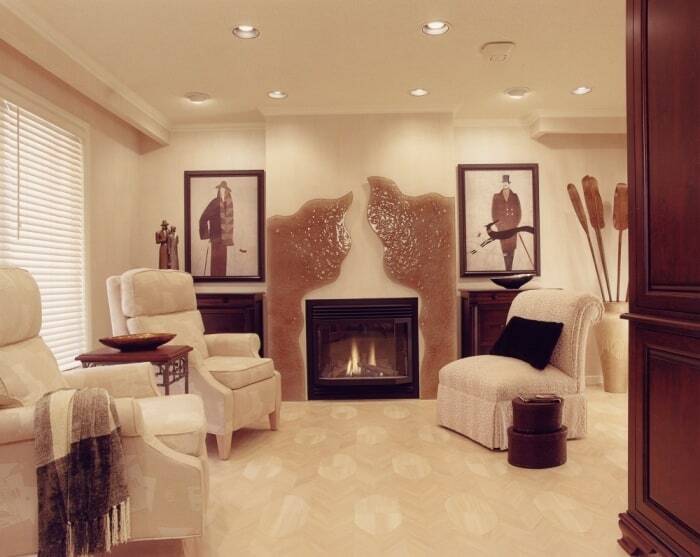 We are truly a one-stop-shop for fireplace design. 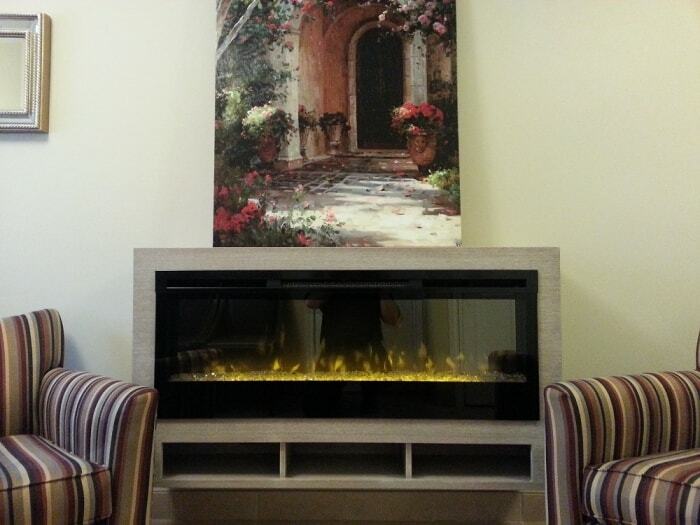 Visit us in person to get started on your dream fireplace. 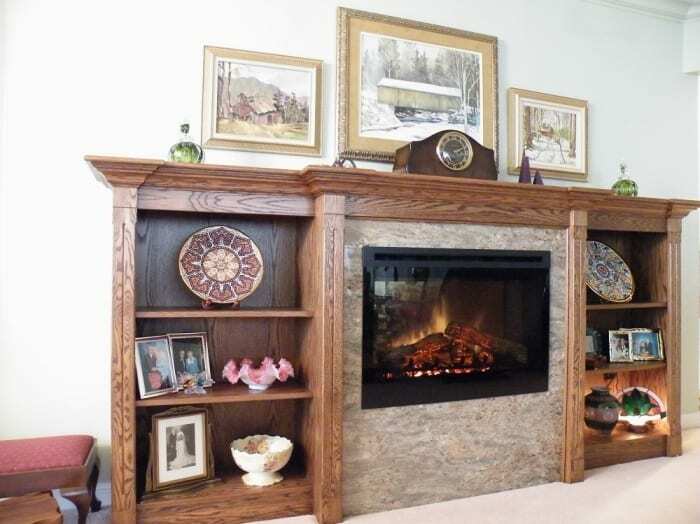 Here are some of our tips to help you pick the best fireplace option. 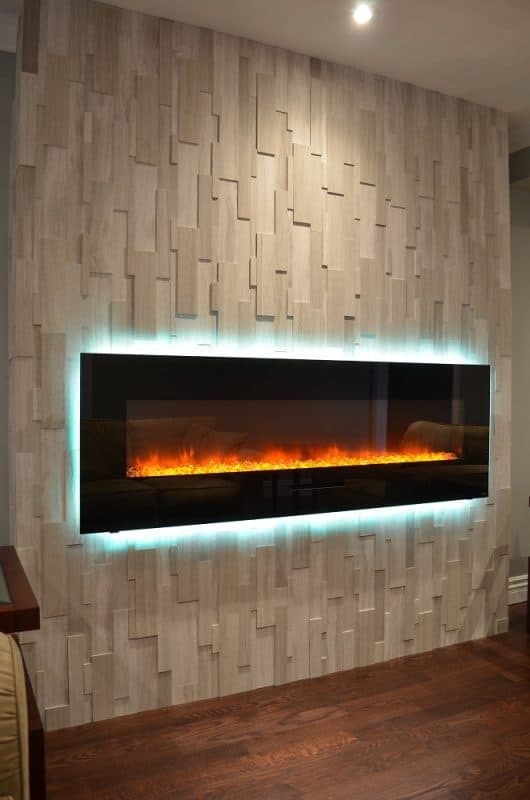 Take detailed measurements of your entire space, including the wall on which you want to place the fireplace, as well as the rest of the room. Make a list of any obstacles, such as windows, doors, closets, etc. Take photos of the room. Save time and email them to us ahead of your visit! Bring your design questions to us and our expert staff will be pleased to discuss your options. 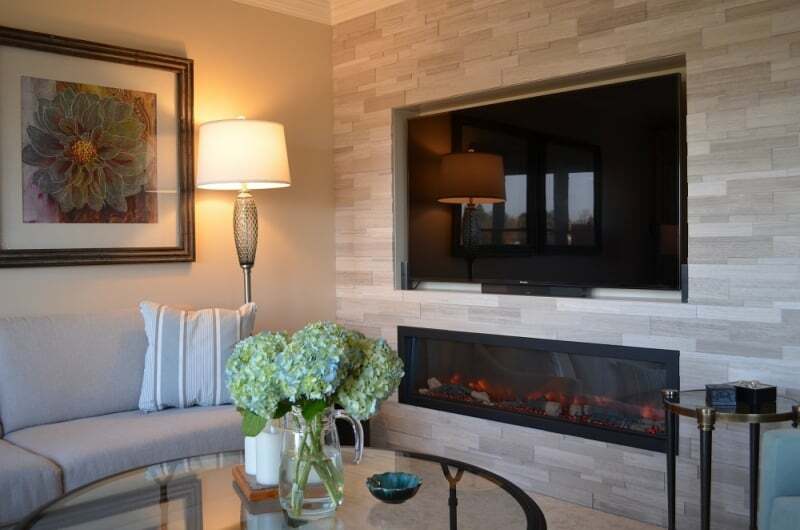 A fireplace has the potential to be an elegant focal point for a room. 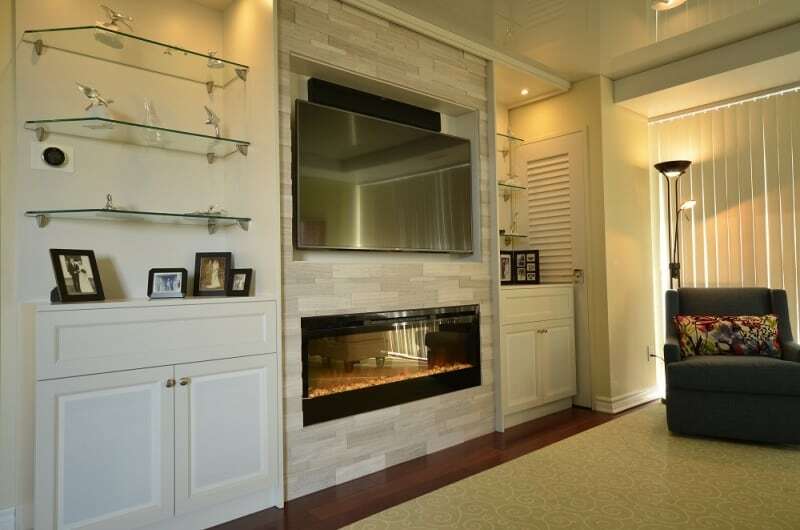 In our experience, many people choose a fireplace that’s too small for the scale of their room. This is such a critical decision. 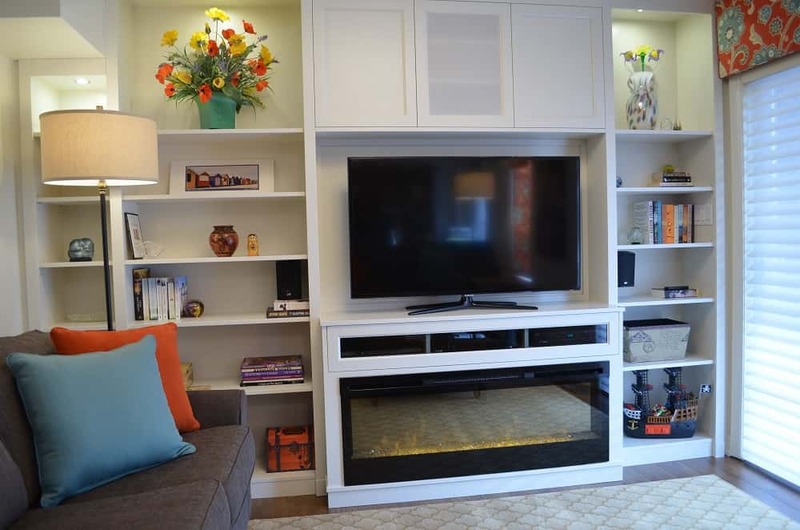 Bring us your room measurements and ask us for advice. 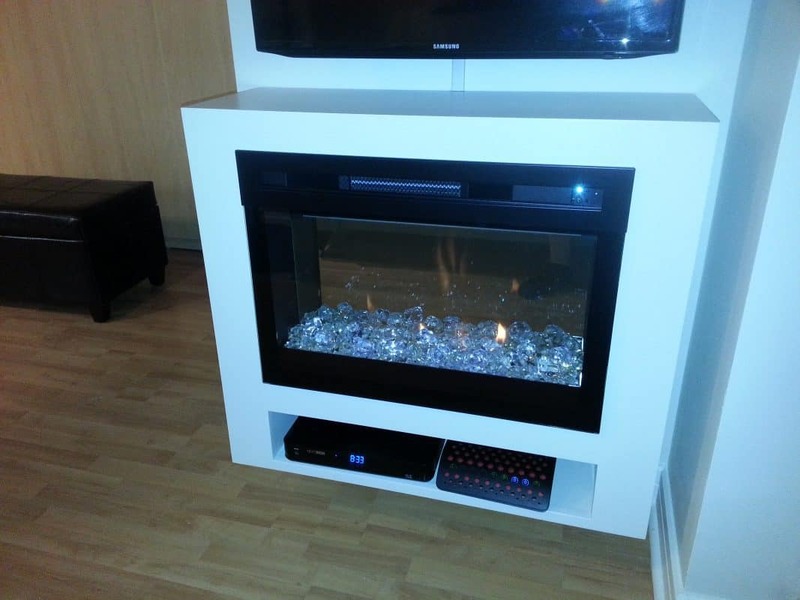 Are you adding a fireplace for heating or purely for atmosphere? It’s important to consider how much heat you need, if any. 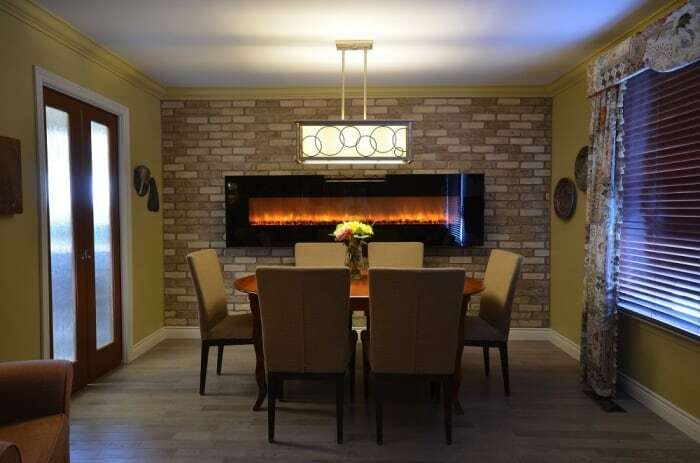 For instance, as home building standards evolve to be more energy-efficient, many homeowners find that they don’t want additional heat from a fireplace. 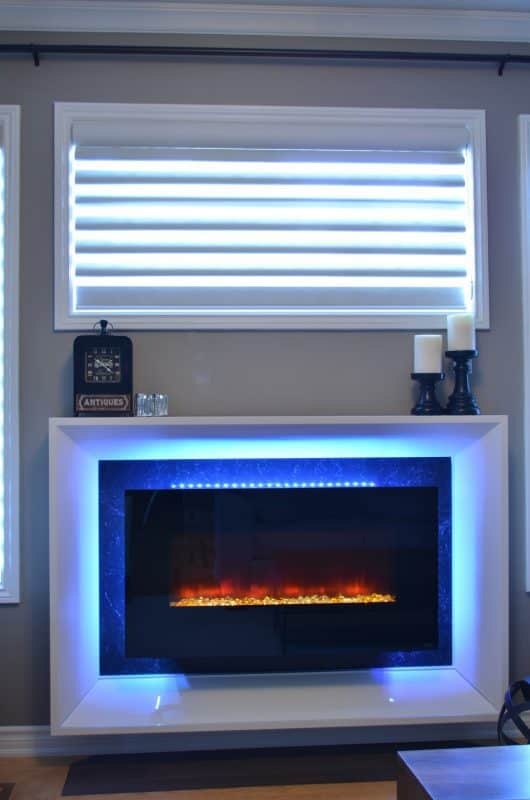 If this is the case, it would be wise to consider an electric fireplace over a gas fireplace, for more flexible heating options. 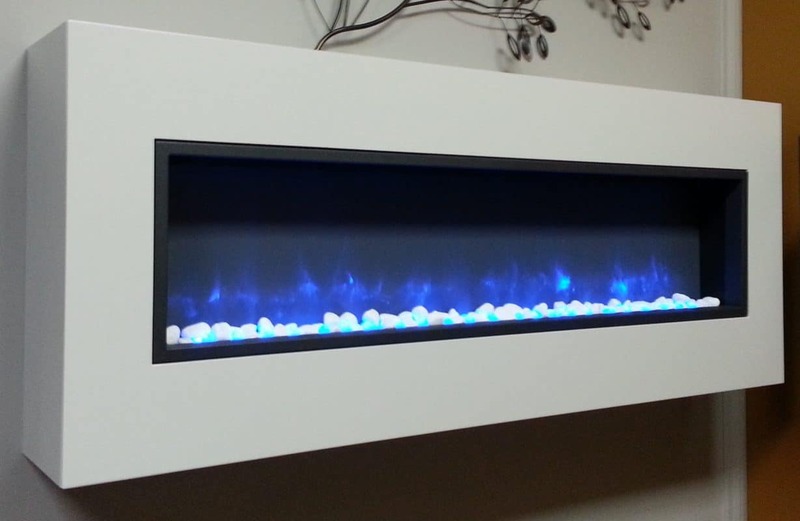 The flames on an electric fireplace may be operated with or without the heater, whereas a gas fireplace produces heat whenever it is turned on. 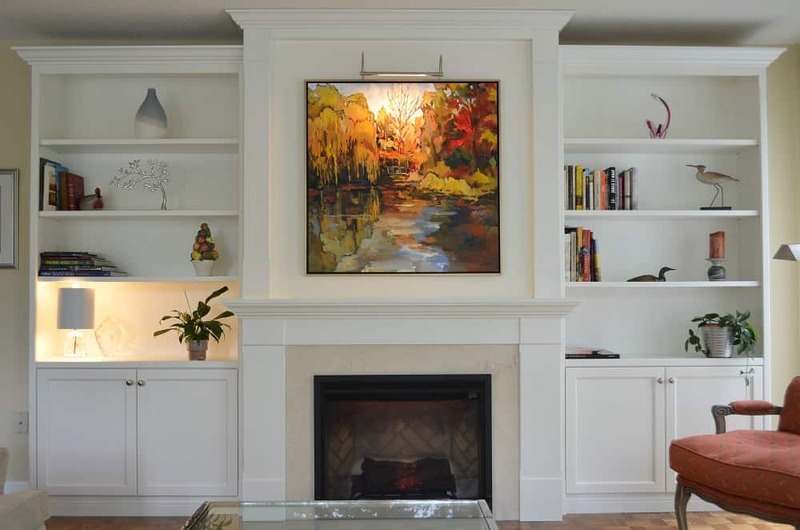 Think of your fireplace as a piece of furniture or “functional art”. 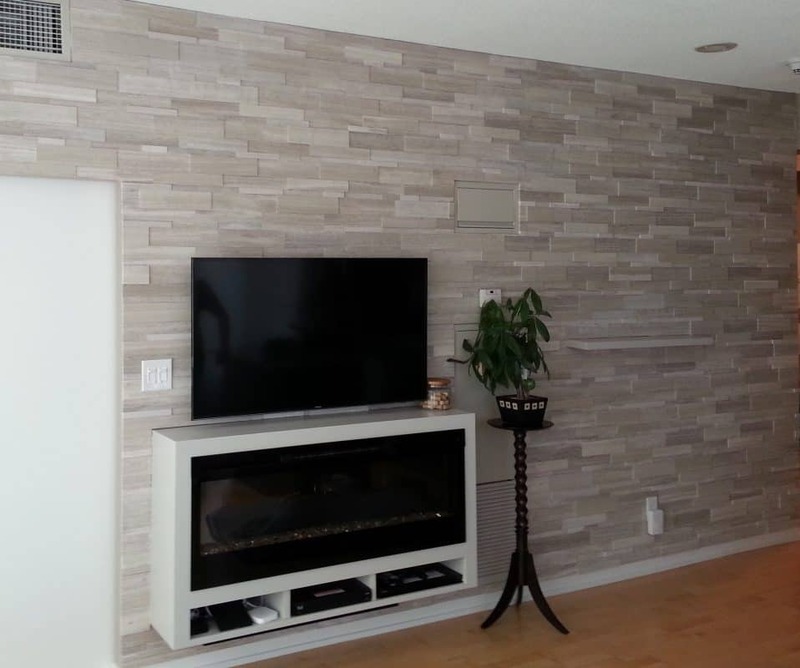 You want to consider styles that enhance the rest of the room, rather than a piece that just blends in. 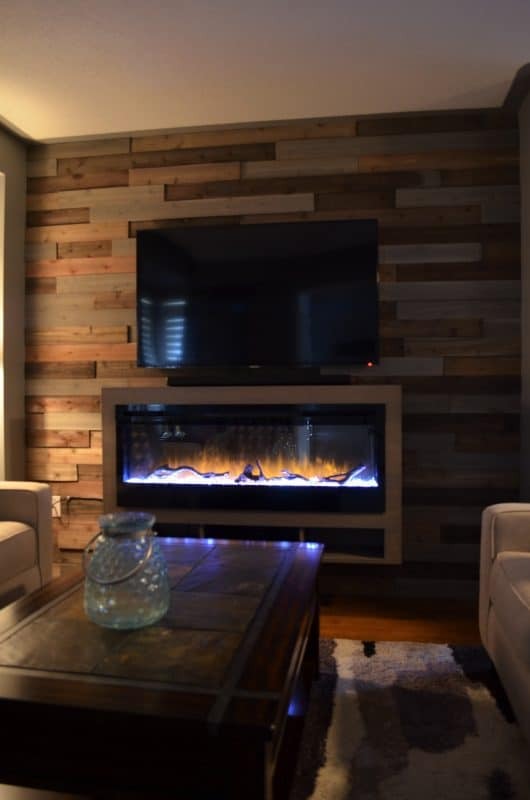 For example, in a traditional room, consider an electric fireplace in a wood tone that complements the other woods in the space rather than matches. 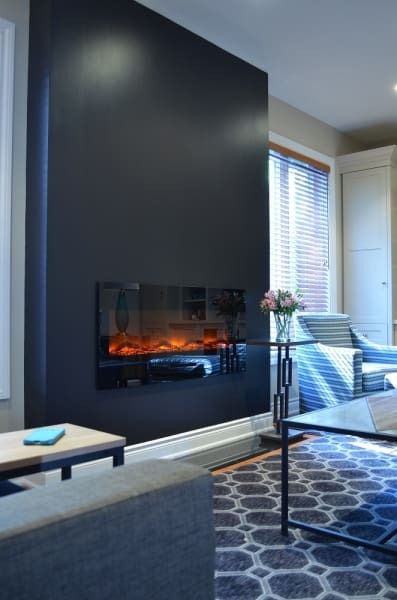 Or, in a more contemporary space, choose a sleek, structural fireplace that gives the impact of a piece of modern art. 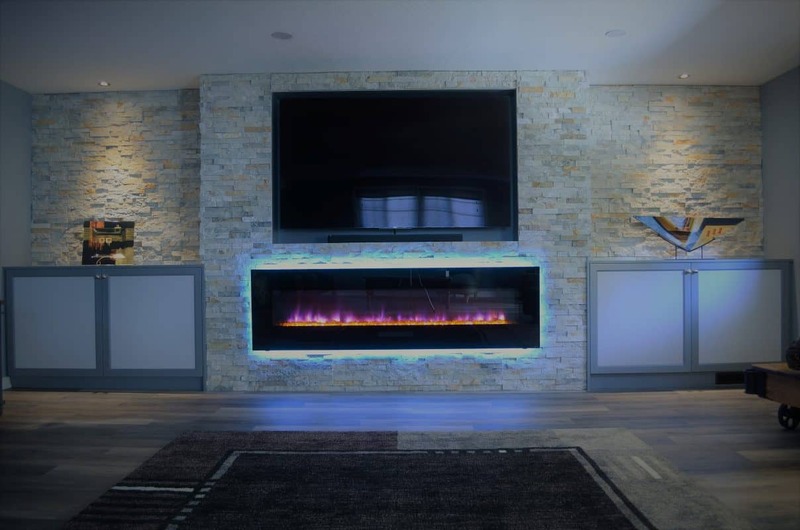 Your fireplace should fit in with the overall “feel” of your home. 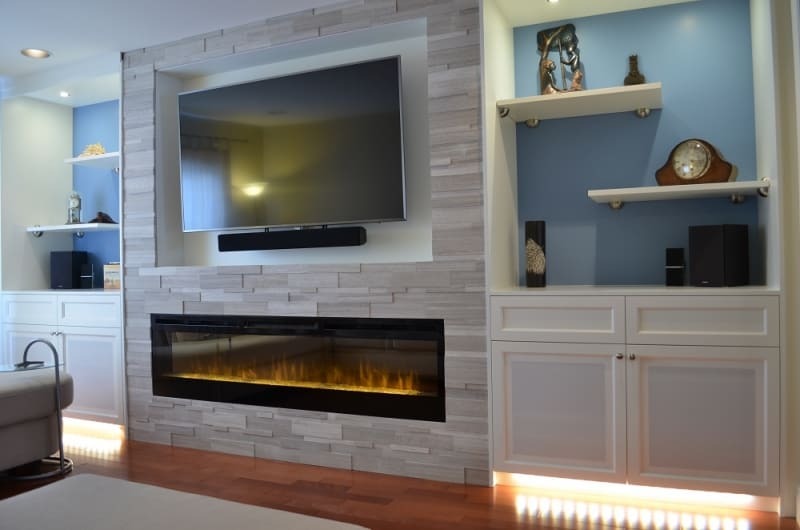 If your decor is largely traditional, a minimalist wall-mounted fireplace could look out of place. 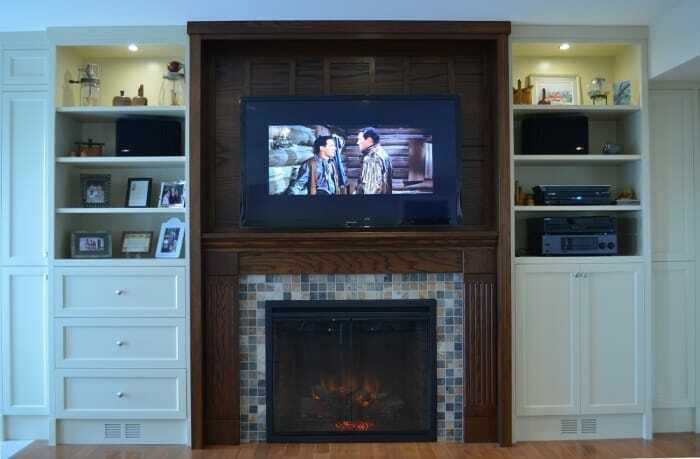 Similarly, an ornate wood mantel may seem jarring when surrounded by simple furniture. Having said that, style is very personal, and you may prefer to mix things up! 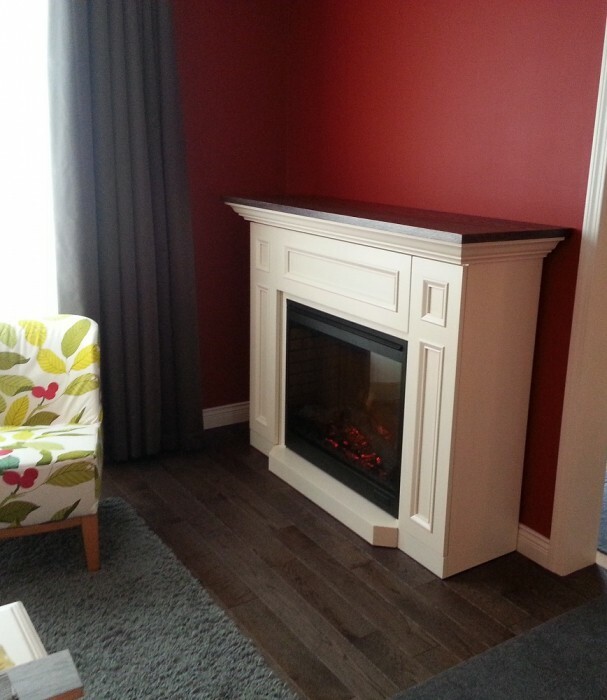 The overall quality of your home also informs your choice of fireplace. 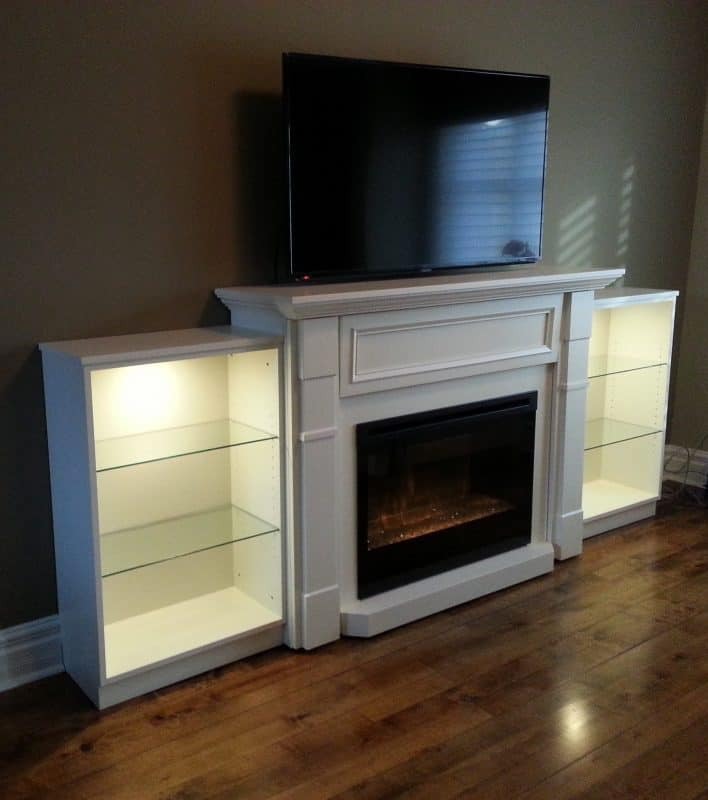 An “entry-level” fireplace and surround likely won’t compliment a home filled with quality furniture and fittings, but it might be perfect for a first home. 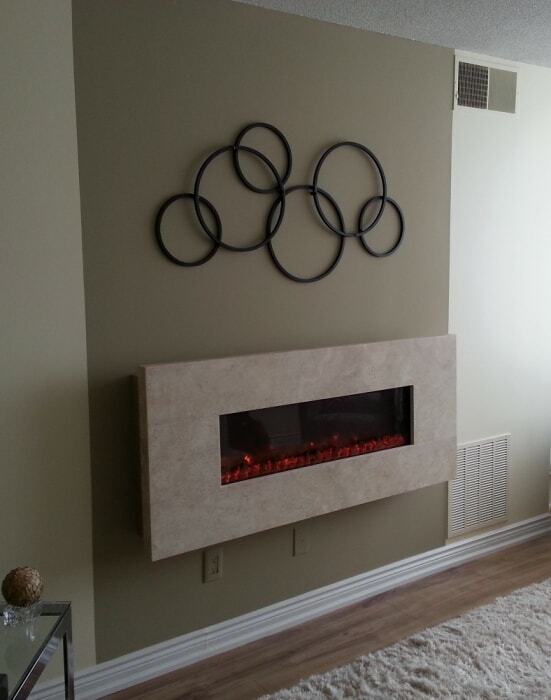 If your fireplace is going to be the focal point of the room, it’s worth investing in a piece that holds attention. 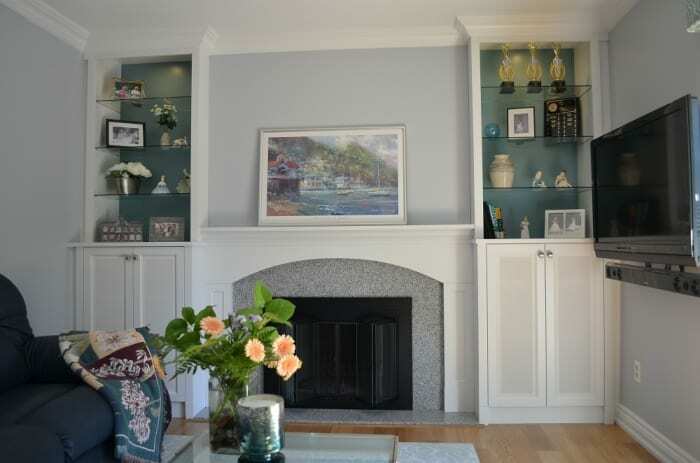 If you want a smaller corner model, you may want to create just a cozy nook at one end of the room. 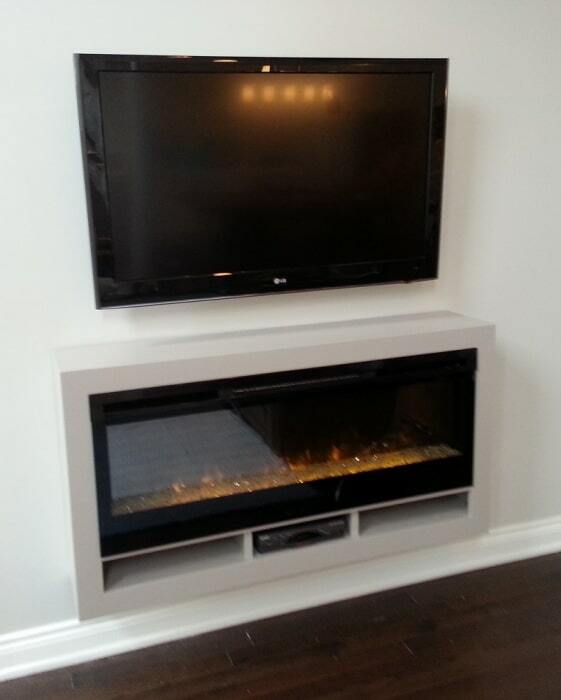 If there is a television in the room, consider how it will be positioned relative to the fireplace. 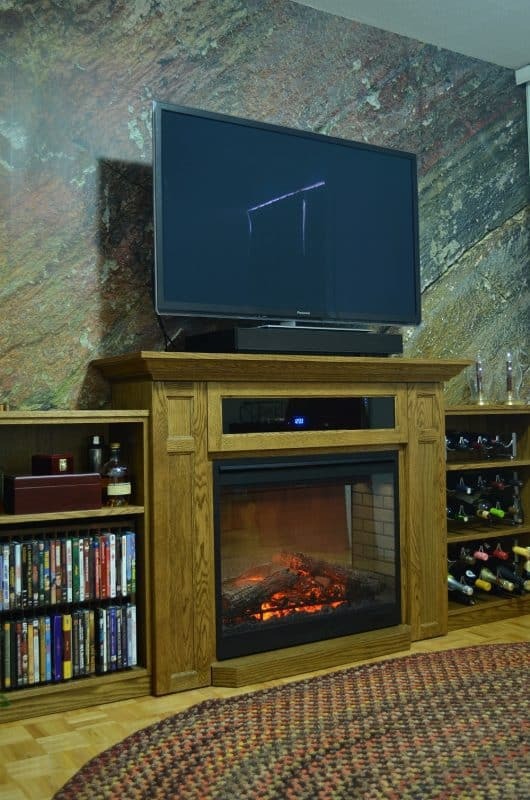 If the television is mounted above the fireplace, your fireplace should match its scale. 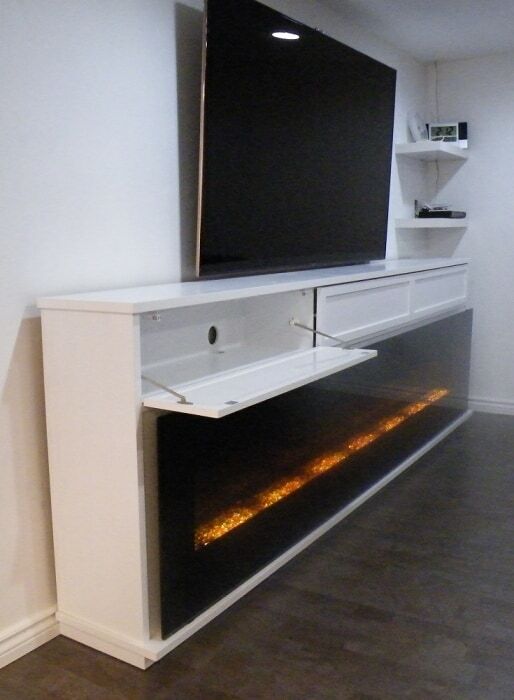 You also need to consider how excess heat (as you may get from a gas fireplace) might affect your electronics. 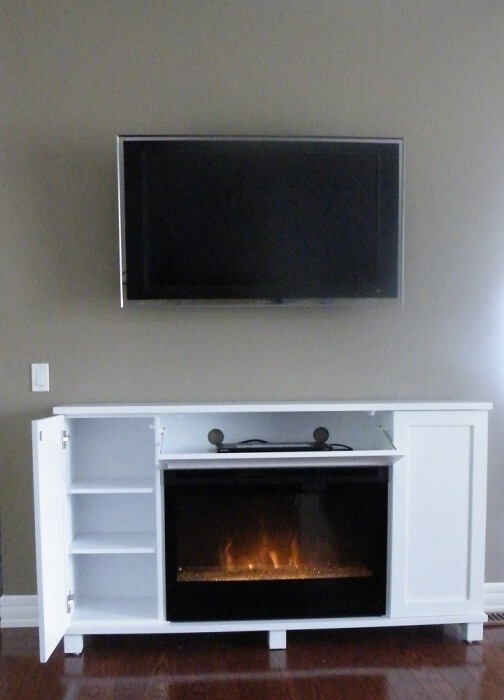 An electric fireplace may be safely positioned below a TV in most situations. 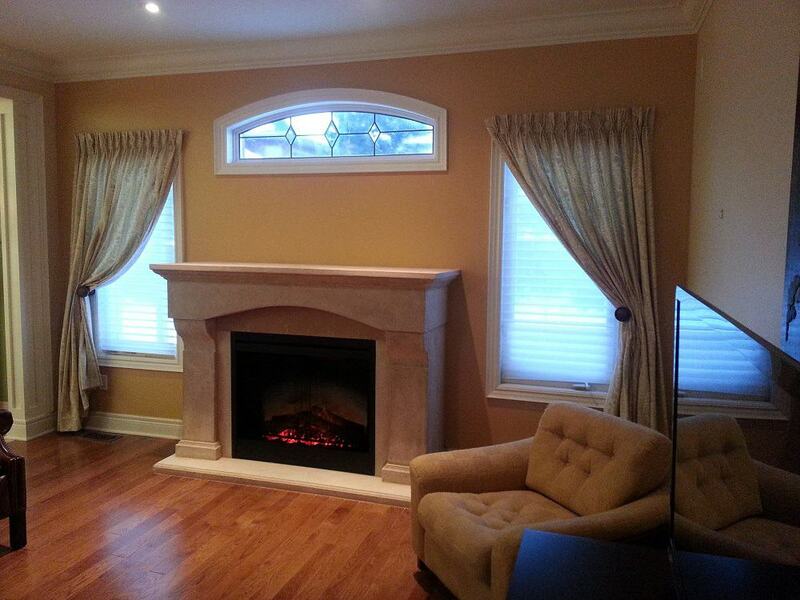 Our many years of interior decorating experience make us well-versed in custom design. 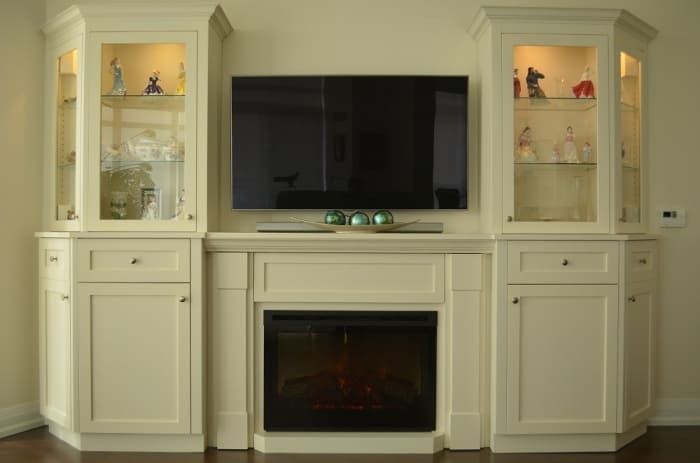 If we can’t find a ready-made solution for your room, we will be happy to help you design a custom mantel or built-in cabinetry. 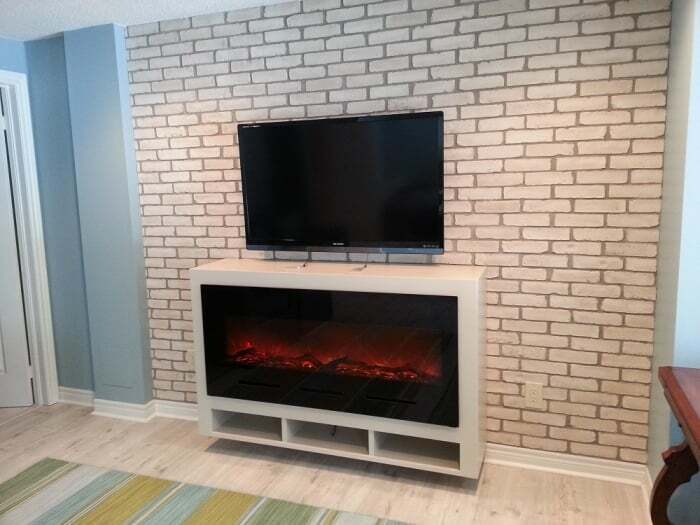 Making over an existing fireplace? 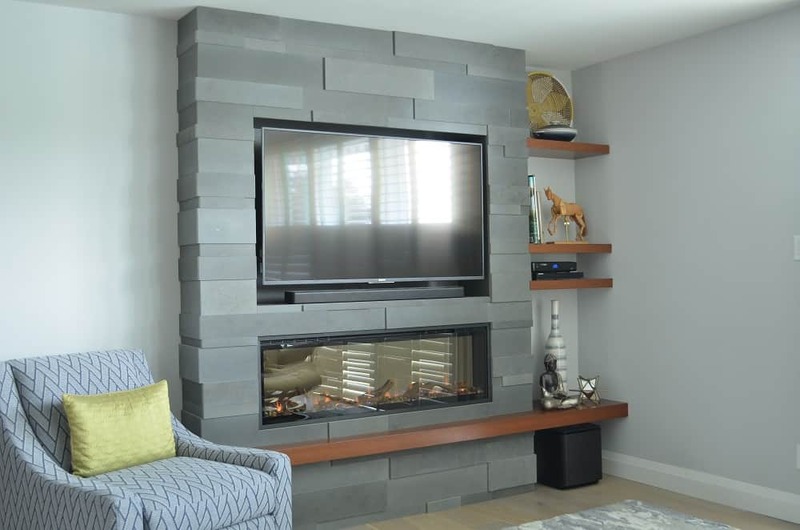 We can help you get the most out of your fireplace makeover, with suggestions for finishing materials and fireboxes. 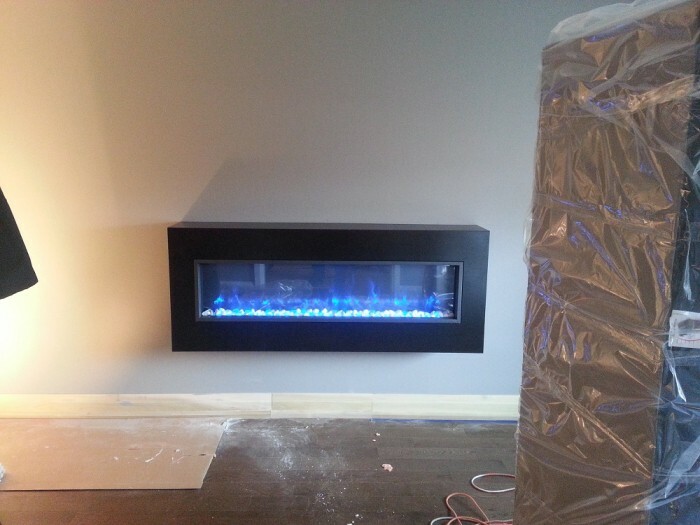 We have expert contacts with contractors to help make your dream fireplace a reality.